Snorkeling the reefs of Bunaken Island, Sulawesi, was an amazing experience. 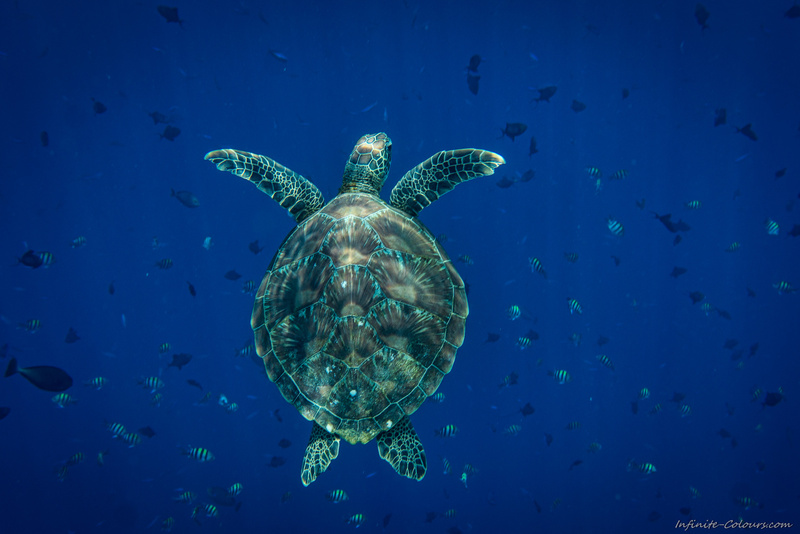 When I was floating with one of the tidal currents over the steep reef walls, this stunningly beautiful Green Sea Turtle literally just emerged out of the blue. It didn't seem to be disturbed at all and was curiously snooping around for a couple of minutes. These mesmerizing creatures seem to fly in the water and are surrounded by an unparalleled aura of absolute peace and tranquility.